Today we have a guest post from one of our sponsors, Go with Oh. They were actually the very first sponsor to sign up for our TBEX Europe conference and we’re very excited about the support they’ve shown to travel bloggers. 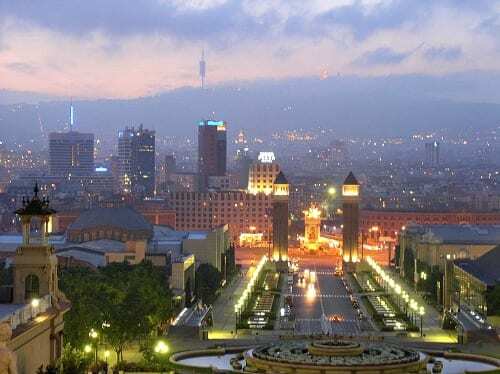 They have a great offer for any TBEX attendees who are planning on staying in Catalonia, whether it’s extending the TBEX stay or planning a return visit. You can count on quality from Go with Oh. They only work with fully licensed and hand-picked apartments, so you are assured that they are well maintained and exactly as represented. Here’s what Go with Oh has to say about your visit to Catalonia. As a host city for TBEX Europe, Girona’s pretty original. As Catalan as they come, this Costa Brava enclave remains an undiscovered part of Spain, straddling one hill, several cultures and countless centuries’ worth of history with aplomb. If you’re staying in the city itself you’re in for a treat. Once TBEX is over, you might be planning on taking in the rest of what Catalonia has to offer. The good news is that a mere hour from Girona by train lies Barcelona – city of Gothic backstreets, Gaudí and gallons of Cava. Not to mention the biggest carnival in the Catalan’s capital’s calendar takes place September 21st-24th, 2013. La Mercè is as feisty a fiesta as Barcelona hosts all year – complete with fireworks, sky-high towers of daredevil children and parades of friendly fire-breathing dragons. If you’ll be flying out right after TBEX, you might be able to take in a few of the festivities. If you’re tempted by the prospect of killing two cities in one trip, we have a special invitation for you. We’re giving everyone attending TBEX Europe a 15% discount on apartment rentals in Barcelona – and the discount is valid through the end of 2012. Picture it: acres of space in which to hang out, total flexibility over your schedule, and the option to get more for your budget by making meals in. Why not invite some fellow TBEXers over and make a proper party of it? Hope you have a productive TBEX and looking forward to meeting you in September! YAY! I love Go with Oh, and well I should since I”m their autumn 2012 guest blogger. Y’all come say hi to me at TBEX. I’ll be hanging out with the Go with Oh folks. I’d love to meet you.